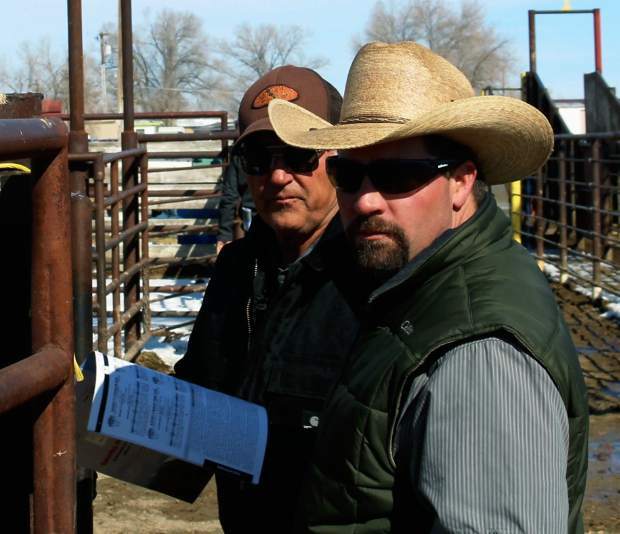 Darin Barton of Gillette, Wyo., purchased his choice of solid, feed efficient bulls from the Lucky 7 offering. Charles Price and Kent Price of Pindale, WY, conferred on their selections of the Lucky 7 offering. 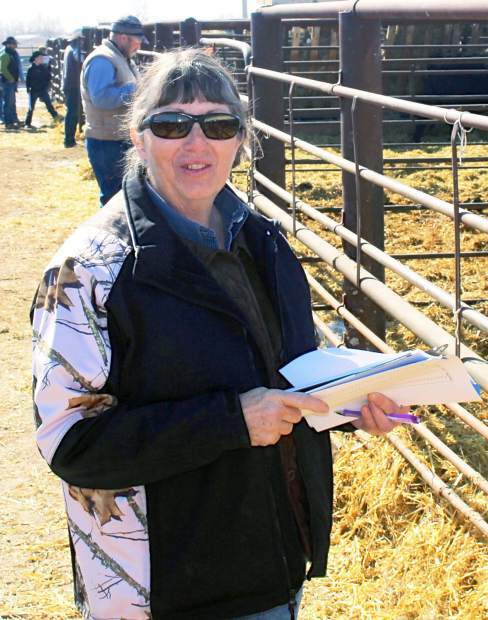 Mrs. Sally Montgomery and her husband selected a feed efficiency tested bull for use in their operation near Wheatland, Wyo. Tammy DeLyea of Douglas, Wyoming, carefully inspected the figures and the bulls before making her selections. It was a beautiful day for early March in Wyoming and the countryside was showing a hint of green in the hills. Jim Jensen and family put together a tremendous offering as exciting as the green grass sprouting up. Producers from near and far traveled to select some of the most real world bulls that are offered anywhere. Jim Jensen and crew welcomed everyone to their 16th Annual Cowboy Bulls Production Sale, and were very appreciative to the many repeat buyers in the stands and numerous new buyers who came to get their hands on some rugged, feed efficient, PAP tested, 2-year-old bulls. With a packed house and an concise introduction, you could feel the excitement building to get the first bull into the ring. These bulls were developed in Lucky 7's Growsafe Feed Effieiency Testing System, one of the only systems owned by a purebred breeder in the US. Lucky 7 explained this feed efficiency program and how it translates to feed efficiency, testing which they also perform on the cows. The bulls in this offering out of the Lucky 7 feed efficient cows were hard, rugged, sound and ready to go to work anywhere. Lucky 7 gives cattlemen an opportunity to purchase these kinds of range ready bulls that have been tested through time and where profitability is job # 1. Congratulations to Jim on a job well done and bulls ready to go to work regardless of the conditions. Topping the sale at $21,000 was lot #3, a Lucky 7 Right Time 1238 son out of a TC Total 8107 daughter. 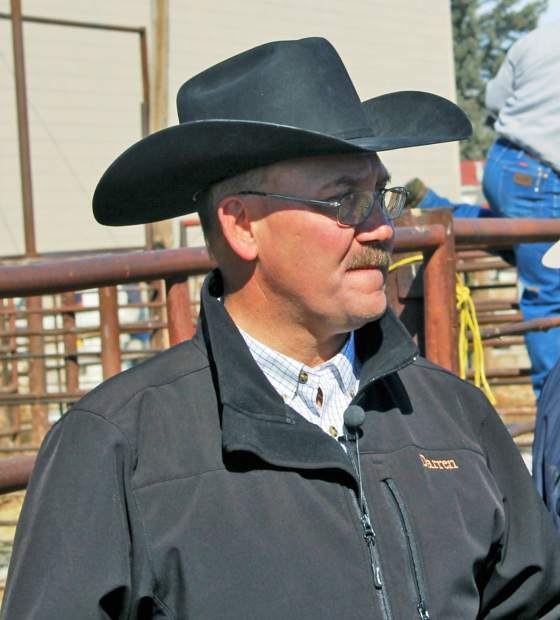 We are certain to hear more about this bull in the years to come as he sold to long-time seed stock producers DeGrand Angus of Baker, Montana. This herd sire bull really had it all – he is wide, deep and big topped. His pedigree is loaded with productive females going back to Hyline Right Time 583 and he boasted an incredible feed conversion of 5.68:1. His EPDs are BW +1.9, WW +59, YW +97, MILK +21, $B 95.97 with a PAP score of 42. Selling second highest was lot #52, Lucky 7 TEN X 3145, a son out of the AAR TEN X 7008 SA and out of an Ironwood New Level daughter. This bull is loaded with muscle, shape, and very correct on all four corners. Boasting EPD's of BW 0.9, WW +56, YW +98, MILK +21 with an incredible $Beef of 121.56. 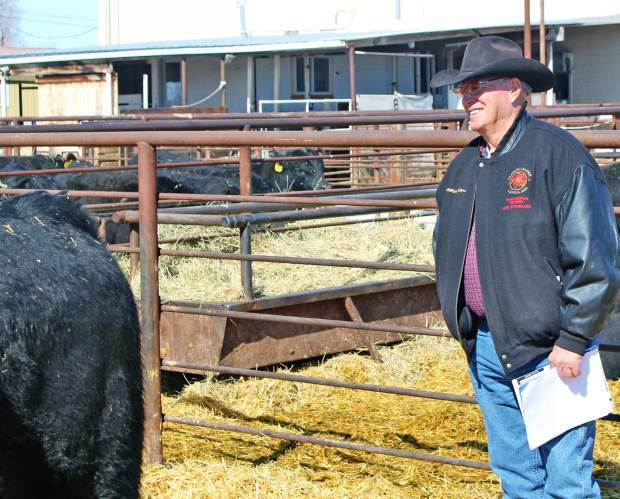 This big time herd bull prospect was purchased for $18,000 by repeat buyers Bob & Gail Stoddard's of Douglas, Wyoming. Lot 17, 94 and 308 all ranked in the top 5 selling for $17,000 each. Charles Price of Daniel, Wyoming, chose lot #17, Lucky 7 In Focus 3220. This big time heifer bull has maternal traits and female making ability written all over him, backed by oustanding individual performance EPDs of: BW +0.4, WW +57, YW +108, MILK +25, $B 95.04. This Lucky 7 In Focus 139 son out of a Lucky 7 Patriot 6110 daughter sold for $17,000. A full brother of the second high-selling bull, lot #94 also sold for $17,000. Robert & Wilma Post of Geering, Nebraska, are now the proud owners of this calving ease, growthy, and feed efficiency bull sired by AAR TEN X 70008 SA and out of an Ironwood New Level daughter. This calf was an ET, and his Dam and Grand Dam are also progeny of the intense Lucky 7 embryo program. Lucky 7 TEN X 3110 posted EPD's of BW +0.9, WW +56, YW +98, MILK +21, $B 122.48. This herd bull prospect is very correct, docile, smooth made, and backed by generations of maternal performance. 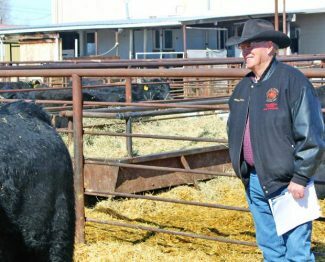 The third bull selling for $17,000 that day was lot #308, Lucky 7 Special Focus 448. 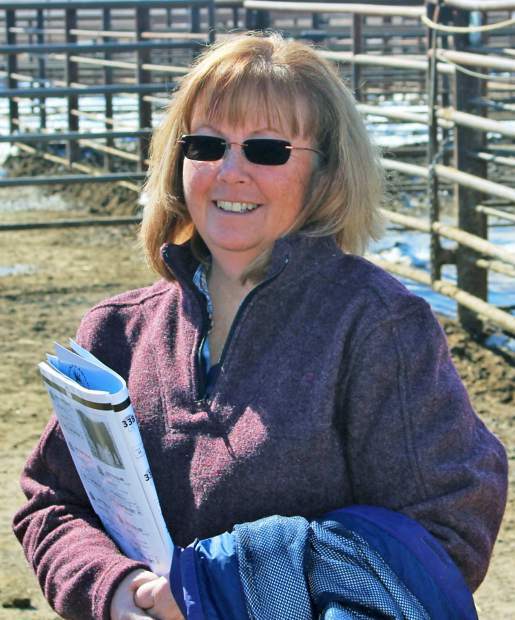 The proud new owners of this impressive, notably thick, herd sire prospect is DeGrand Angus Ranch of Baker, MT. This bull's sire, Lucky 7 Special Focus 214, was one of the high selling feed efficient bulls in Lucky 7's 2013 sale. Special Focus 448 is expressing the feed efficiency traits as well being the #4 RFI bull in the pen on the Growsafe program with a feed conversion ratio of 4.56:1. Complimenting his feed efficiency is an EPD spread of BW +0.3, WW +60, YW +101, MILK +25.